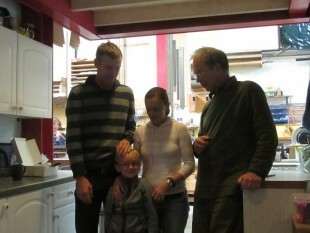 A visit on Tuesday September 2nd from Tim McEwen who worked with us from 1999 to 2008, and Hannah and Myles. They are about to move from Fort Wayne Indiana to Cincinnati Ohio US. Tim works on his own projects and looks after local organs, as well as looking after Myles.